This article is 3070 days old. Peace building begins one step at a time with individuals and groups in our local community. The YMCA of Windsor and Essex County has been recognizing peacemakers who inspire and affect the lives of others through their peaceful endeavours. The annual YMCA Peace Medals honour youth and adults from all walks of life who commit their time to advancing peace in their own communities or abroad. Each year during YMCA Peace Week, YMCA of Windsor Essex County recognizes individuals or groups who have enhanced the lives of people in our community or around the world by awarding them with a peace medallion. These medals recognize the achievements of volunteer groups or individuals that contribute their time and work without special resources to build a culture of peace within the community or abroad. In recognition of their extraordinary efforts to bring peace in this community and abroad, the YMCA of Windsor Essex presented peace medallions to two recipients: Aruna Koushik (individual) and Saints Working Against Trouble (group/youth). 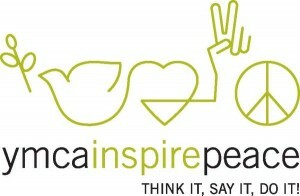 The Peace Medallion Ceremony will be held on November 24th in the YMCA gymnasium from 9:30am – 11:30am.